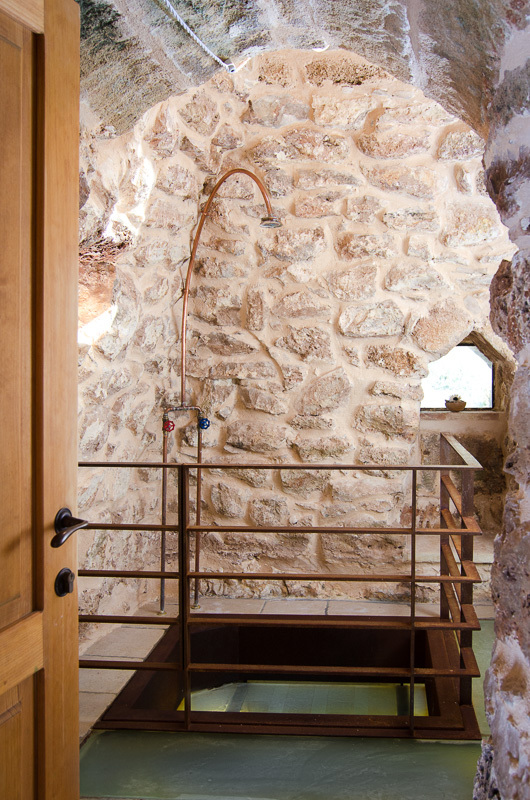 Trullo complex has been completely restored in 2012 and 2015 trying to preserve as far as possible the original structure. 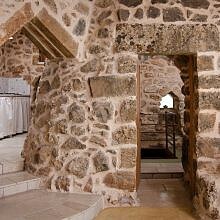 In the beginning it was composed of various stone buildings only partially connected to one another. 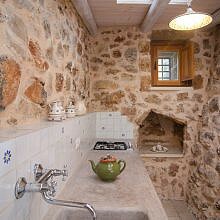 The structure was mostly collapsed and nature and olive trees had taken advantage of the place. 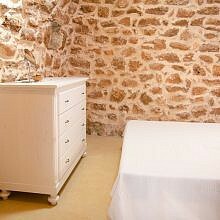 Are you are wondering how it was when we first arrived here? 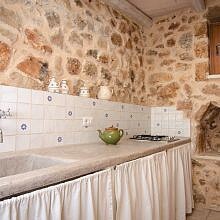 You can see the images in this article. 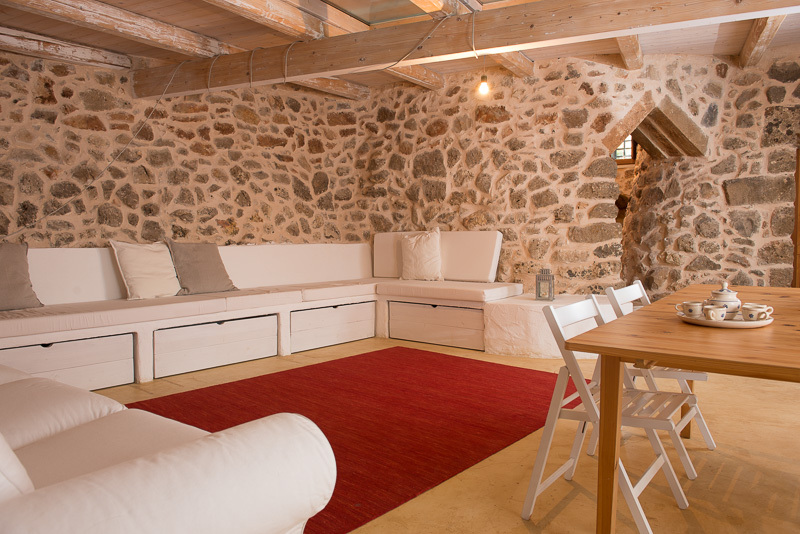 Now it is divided into two main areas: the larger area where you will find a living room/main bedroom and a small kitchen. 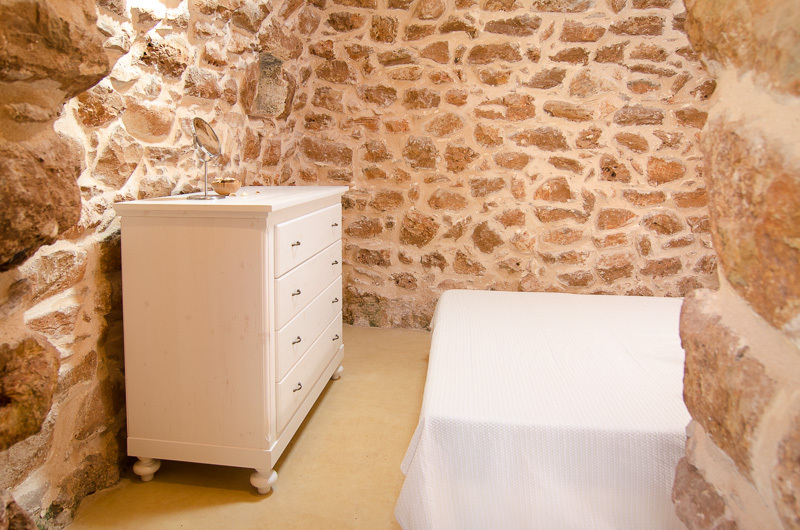 One circular structure (the smallest one) where you will find a suggestive double bedroom. 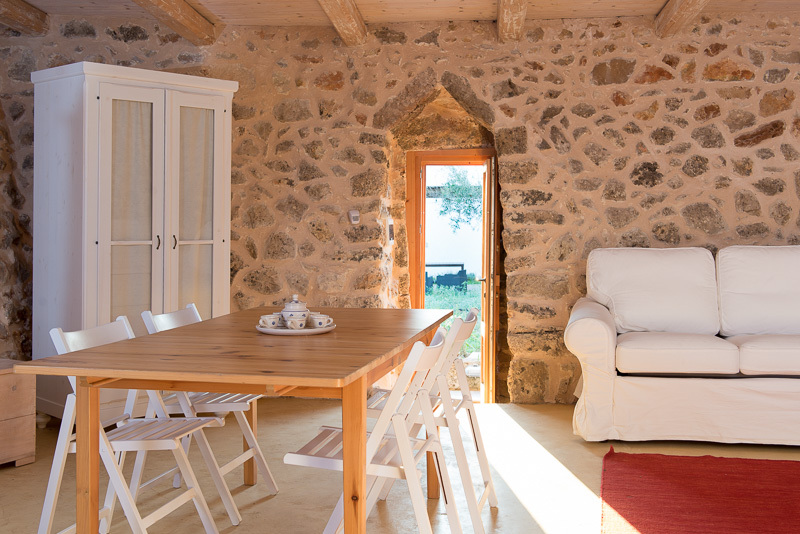 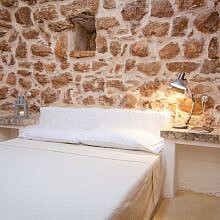 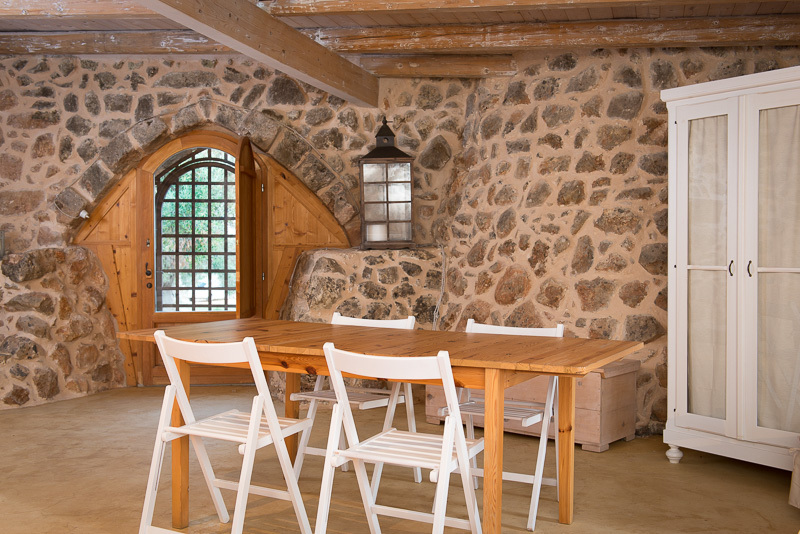 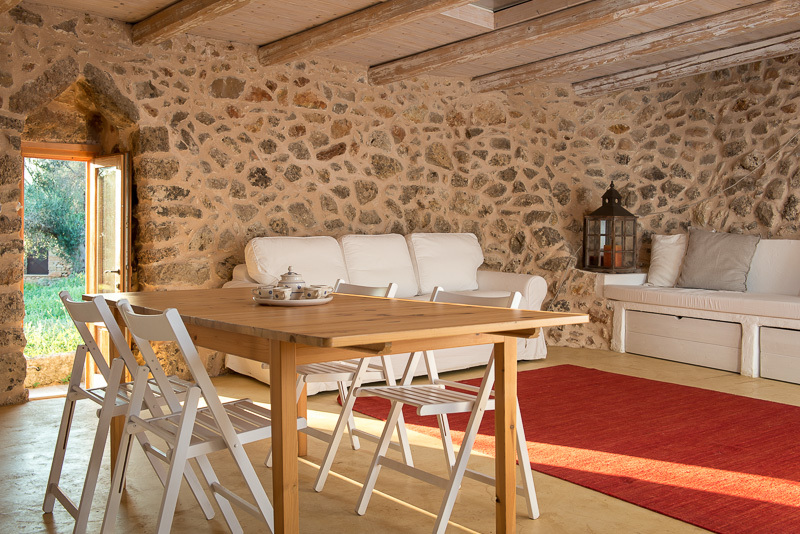 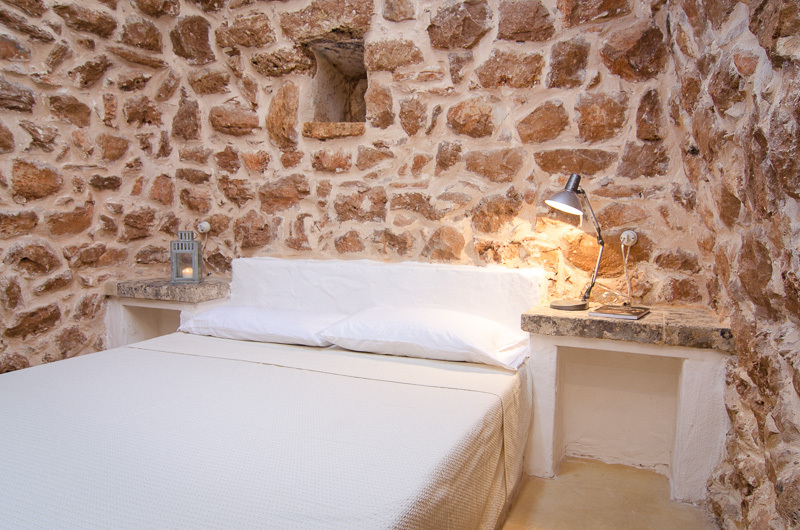 This cosy room is not internally connected to the other parts of the trullo but you can easily enter the living room and bathroom by exiting and entering the next door. 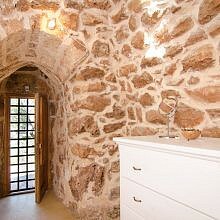 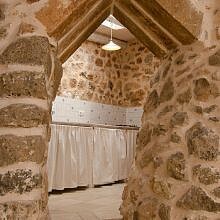 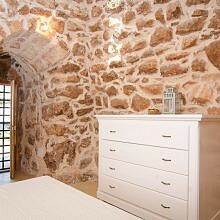 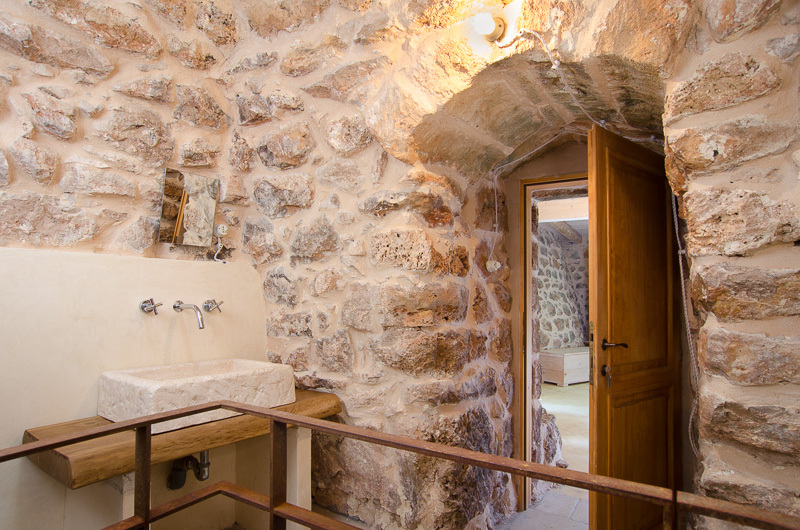 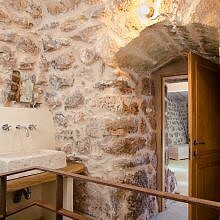 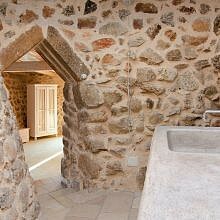 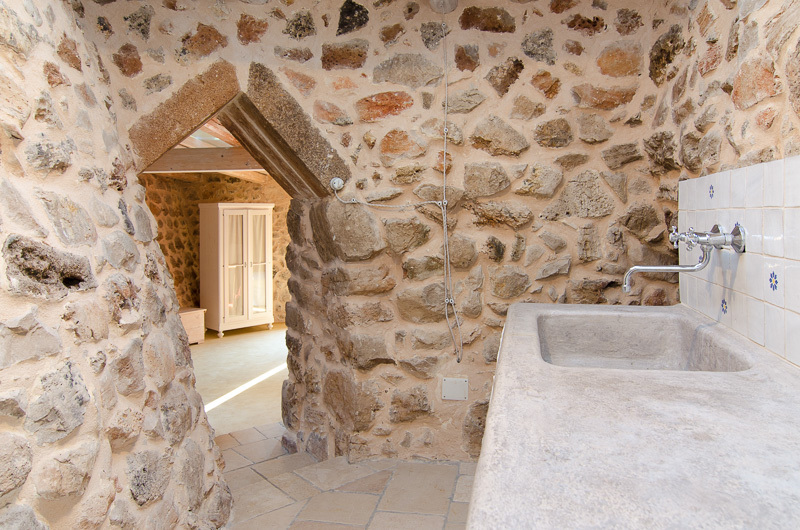 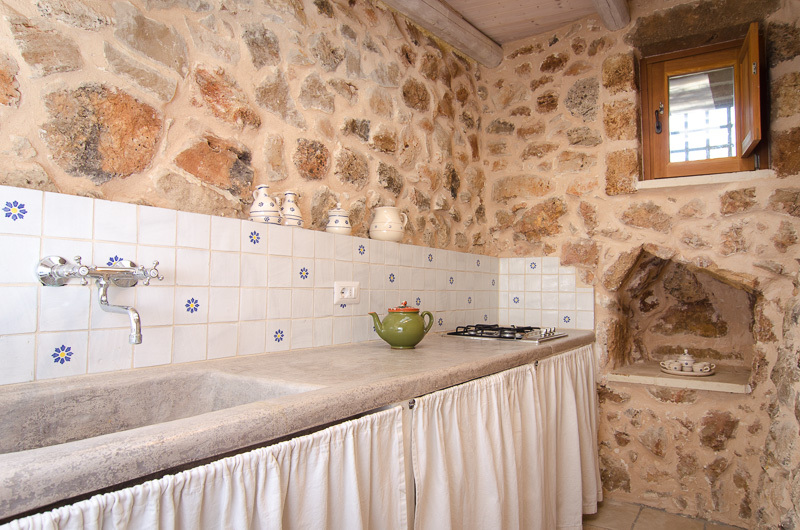 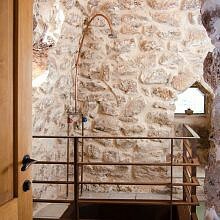 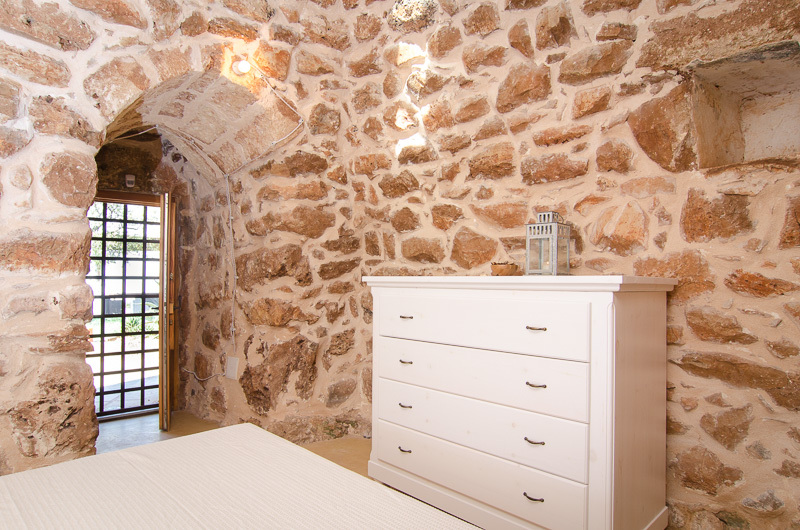 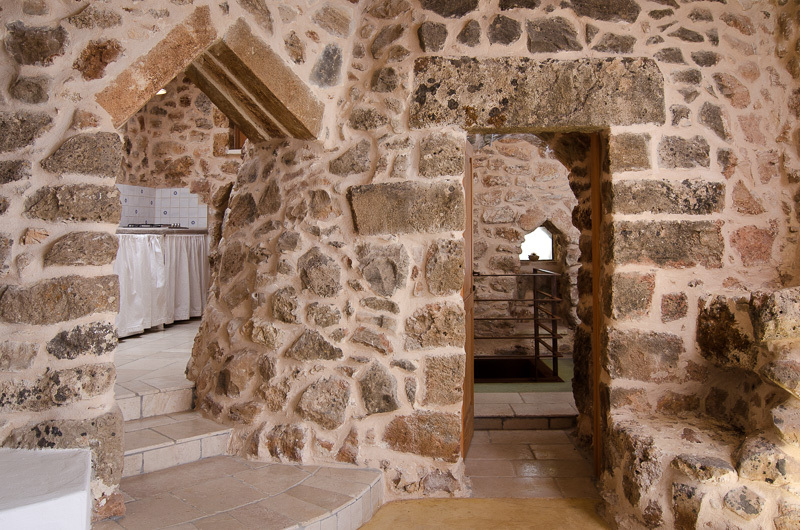 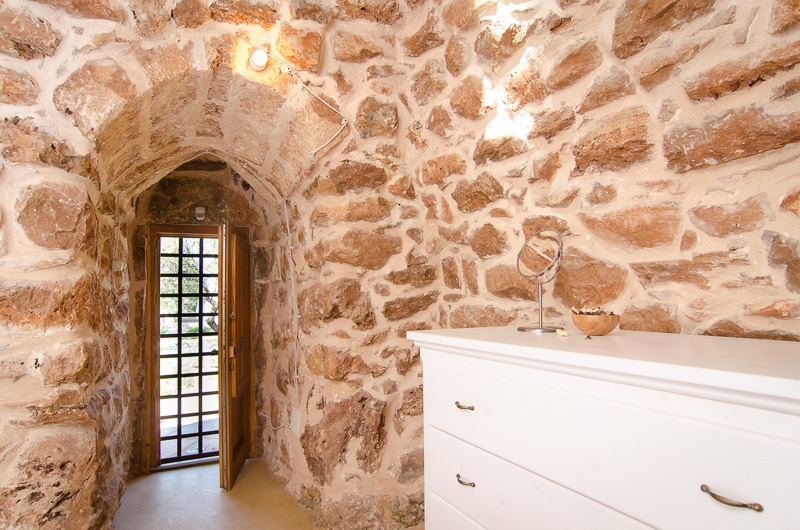 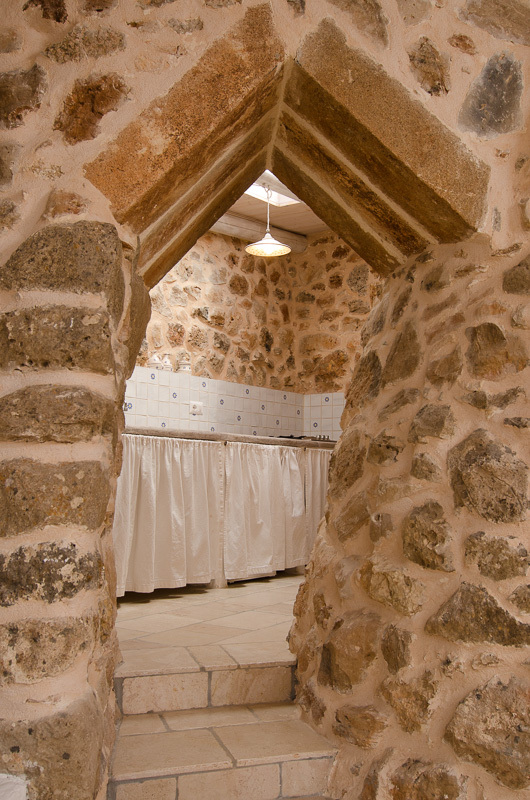 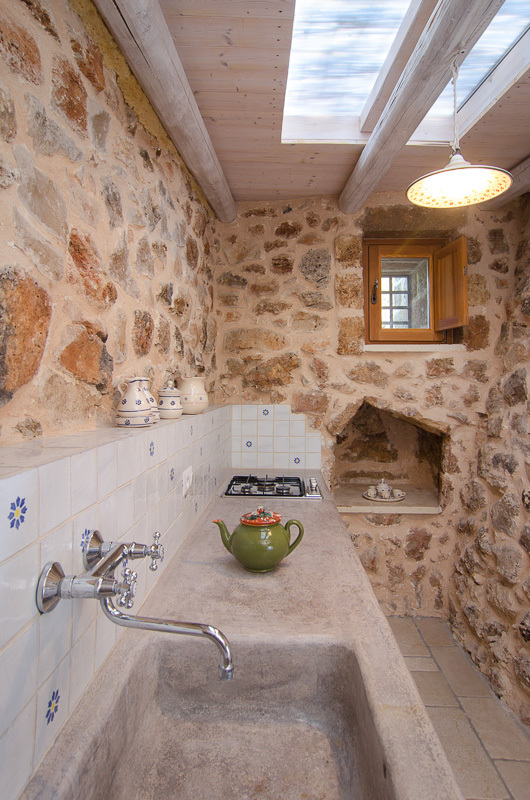 Finally, inside the third circular trullo you will find the bathroom, with a shower built above an old water tank.